8th February 2005 - Discounting the picture of BFCC organizer, Keith Wilton (he'll never be famous! 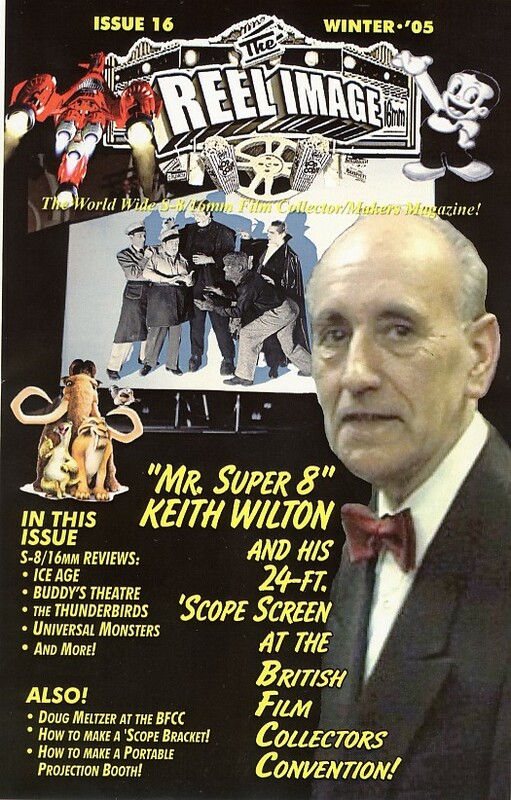 ), we congratulate Steve Osborne in the USA for the cover of his latest issue of this magazine which includes, in addition to the usual selection of film reviews an article by New Yorker Douglas Meltzer, who visited the BFCC in 2004 and hopes to attend the 50th event on the 22nd of October. Bob and Betty Adsett who also came over from Florida in 2004 are also making plans to return this year, but most probably will attend the 49th BFCC on May 14th. With collectors now attending from the USA, Italy, Belgium, Portugal, Greece and France, the BFCC is rapidly becoming the international event to be seen at. Foward planning for the programmes of both 2005 events are well advanced and the 50th BFCC will also include celebrating the 50th anniversary of 70mm. Keep tuned for programme updates!